Traditional and contemporary song, accompanied by guitar and cittern. "At Liberty" - Ed McGurk (2011). "Prototype" - Caffrey/McGurk (EP - 2011). "Changing Days" - Bandersnatch (2008). "Round and Round" - Bandersnatch (2006). Guest on "Long Looked For Come At Last" - Nick Caffery. 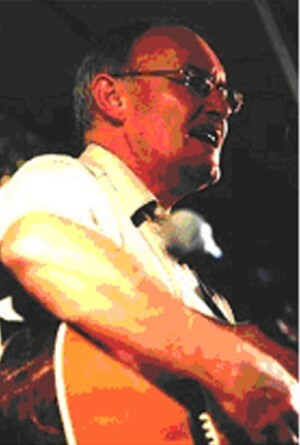 Ed has been performing on the folk scene, especially in North West England for over 35 years (he started young). He was a resident at Clitheroe Folk Club in the 1970s with Nevis and Litany. Ed is a founder member of Bandersnatch, a solo performer and also performs with Nick Caffrey as "Caffrey/McGurk"
Through the 1980s to date Ed continues to perform with the North West based ceilidh band "The Riot Band".